If you follow me on over on Instagram, you may have noticed me sharing pictures of cheese. I’m participating in a 3 month campaign with the Dairy Farmers of Canada and will be sampling a variety of Canadian cheeses and sharing what I made on Instagram. One of the cheeses this month is a Quebec cheese, Riopelle de Iles-aux-Grue. It’s similar to Brie with its soft, creamy texture and can be used in place of Brie in recipes. 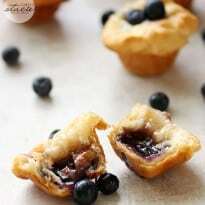 I thought why not try it with some Blueberry Cheese Tarts? I knew of a recipe from Pillsbury I wanted to try and I had some fresh blueberries and Pillsbury Crescent rolls. Brie tastes delicious baked so I was betting Riopelle cheese would too. And I was right. It was amazing! Is it a dessert or an appetizer? Can it be a dessert appetizer? Is there such a thing? 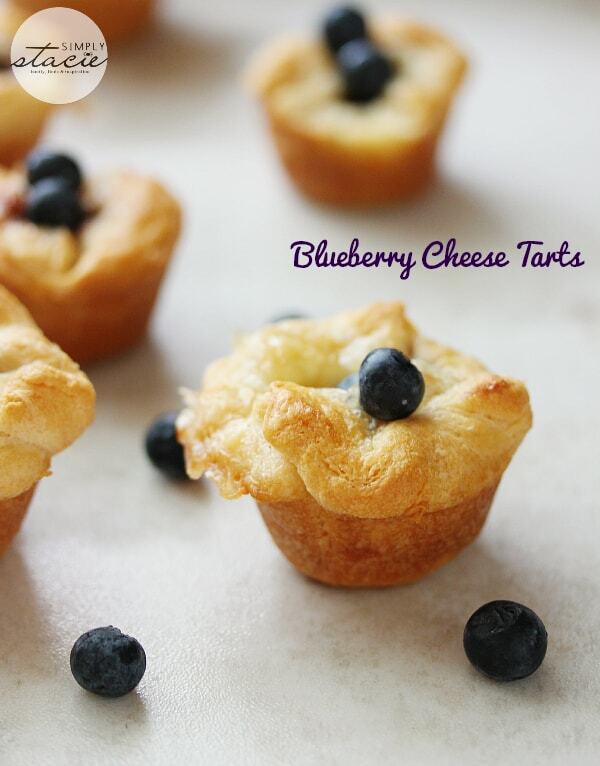 It’s more sweet than savoury with addition of the blueberry preserves. I’d serve them as hors d’oeuvres I think versus a dessert since they are so small. I made them in a mini muffin pan, but I may try next time to see how they are in a regular sized muffin pan. The crescent rolls as they come out of the package are too big to fit in the mini muffin pan so I had to rip the dough to make it fit properly. I may try this recipe again, but with fresh strawberries and strawberry jam. Or maybe I’ll do blackberries? Decisions decisions! Check out my friends’ blueberry recipes: Blueberry & Quinoa Salad with Flax Lemon Vinaigrette, Homemade Blueberry Mint Tea, Blueberry Lemon Cupcakes, Blueberry Passionfruit Magaritas, Blueberry Smoothie, Blueberry Ice Cream, Homemade Blueberry Tarts and Blueberry Pie. Whether it’s a dessert or appetizer, I don’t know. I do know that these bite sized tarts are delicious! Unroll the crescent roll dough and rip along the perforations. 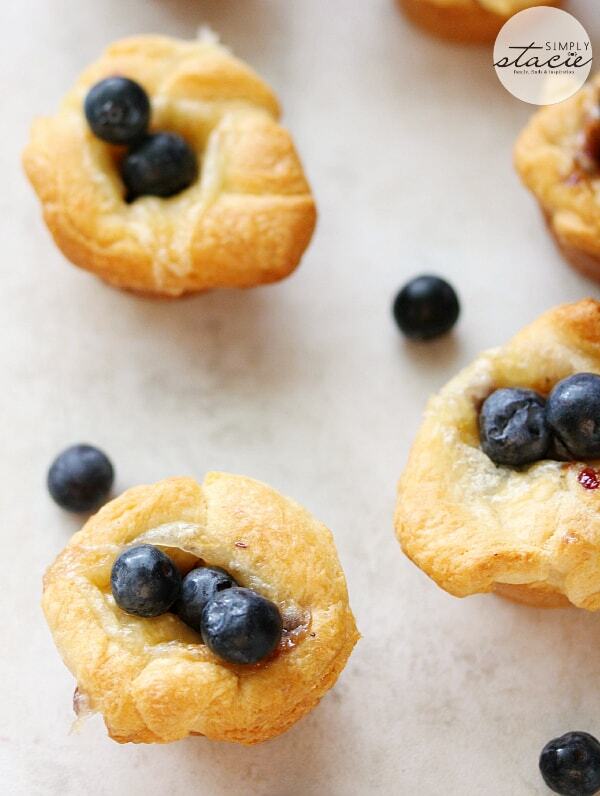 Fit the dough into individual mini muffin pan. You may need to rip the dough apart to make it fit. They should look like little dough cups. Add about ½ tsp blueberry preserves to each tart. Top with a pinch of the walnuts and 1 chunk of the cheese. Bake for 16 minutes until the dough is a golden brown. Cool for a few minutes before removing from the mini muffin pan. 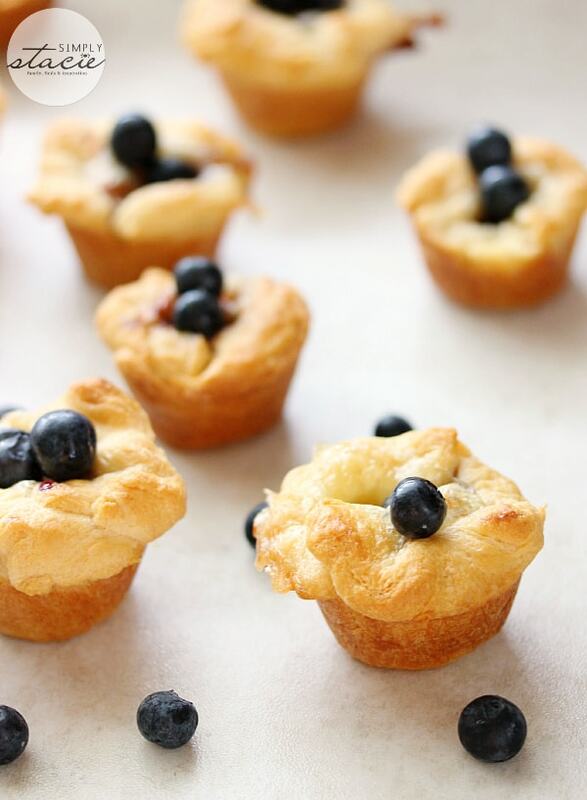 Top each tart with fresh blueberries.